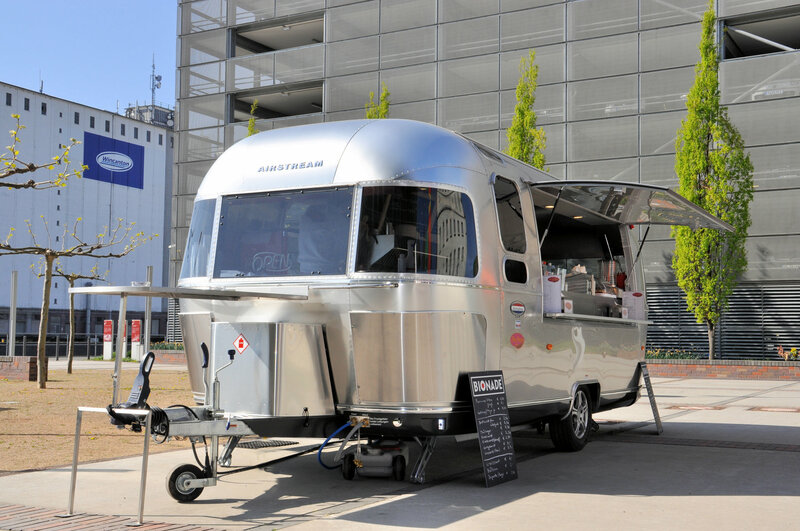 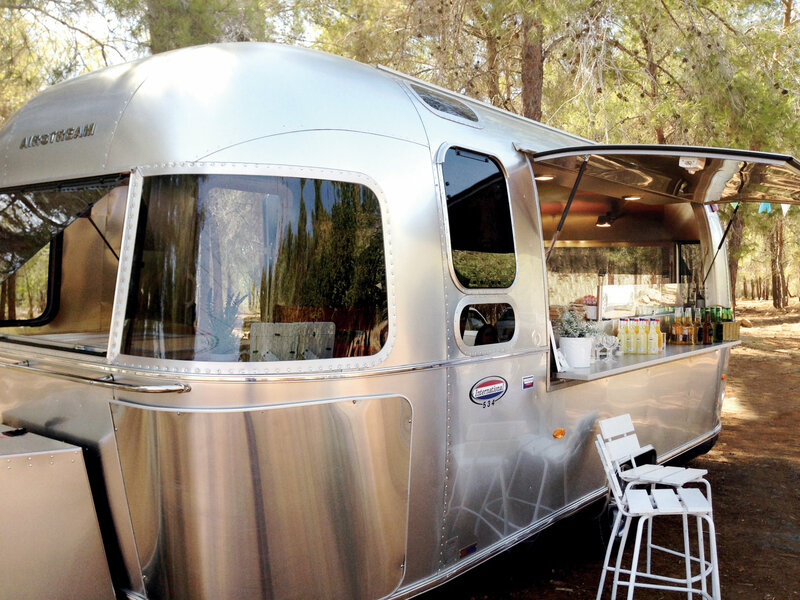 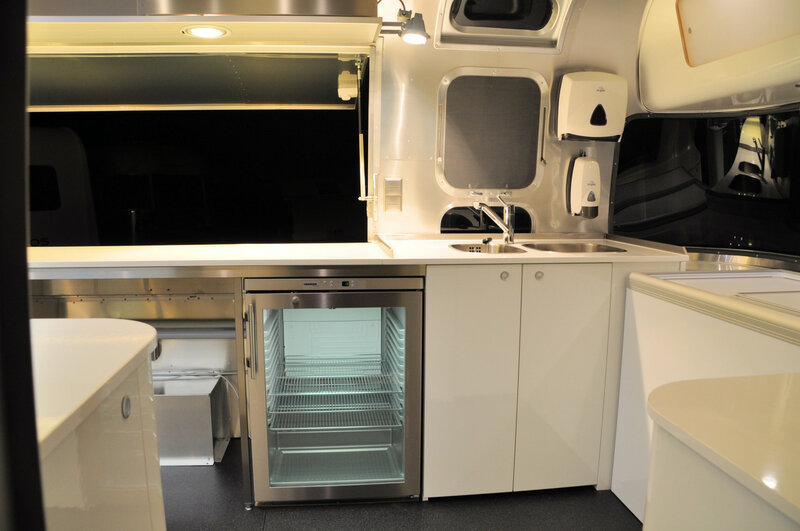 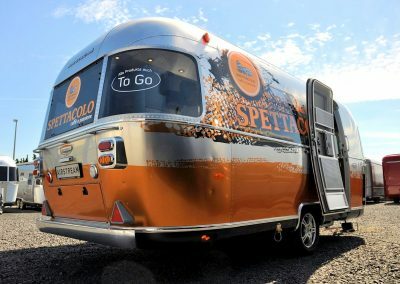 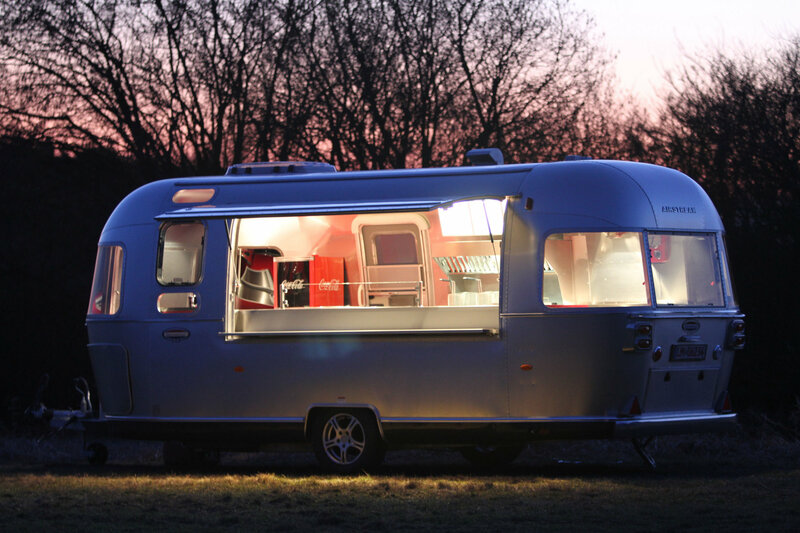 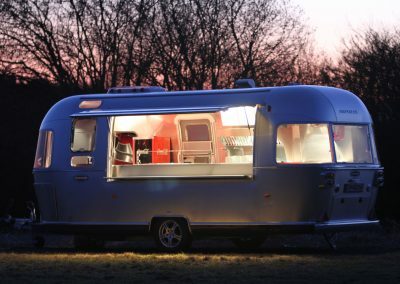 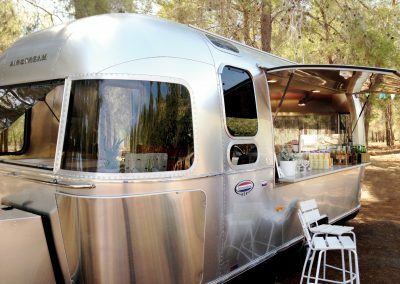 Airstream Diner One – made by ROKA – the original Airstream Diner! 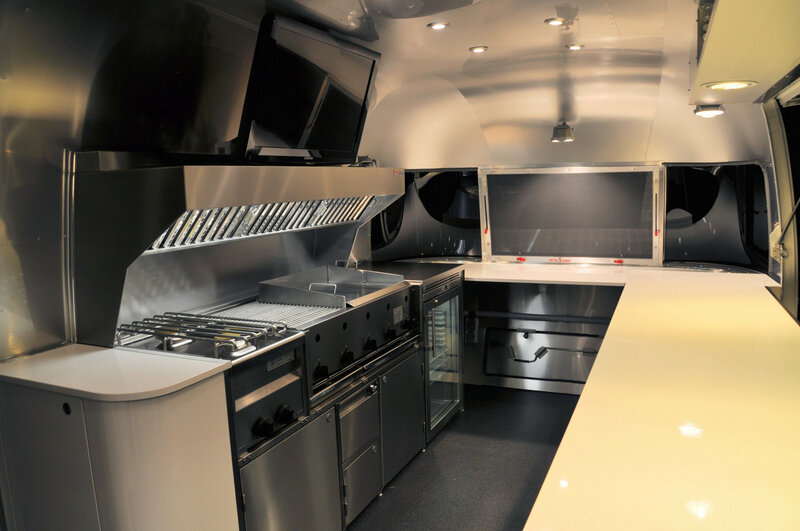 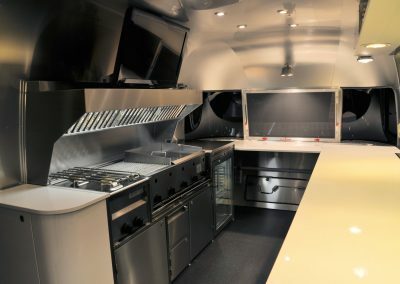 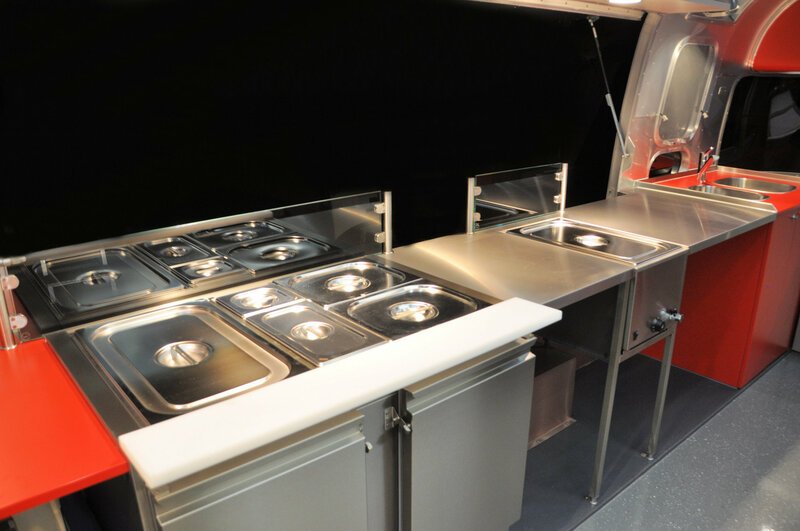 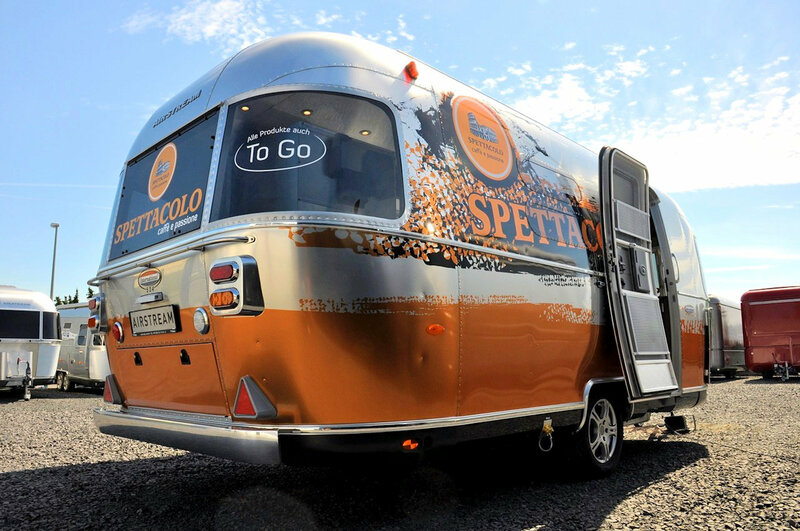 Outstanding exteriour combined with perfect craftmanship make an Airstream Diner the number one choice for those who look for a real outstanding catering trailer. 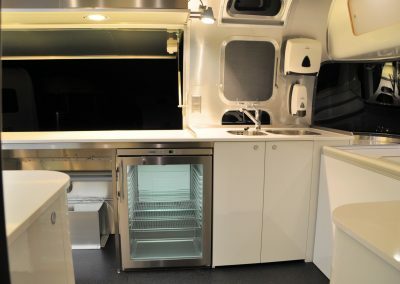 Lighweight, low nose weight and European specification make it suitable also for smaller cars. No need for a big US 4x4 or a truck to tow this aerodynamic trailer. 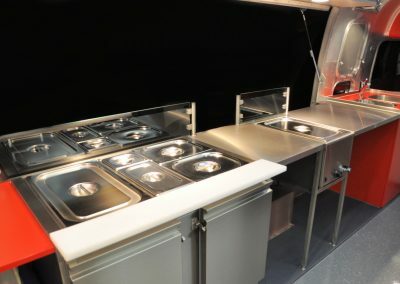 These trailers are designed for europe and fitted out in Germany by ROKA one of the leading quality catering trailer manufactures in Germany. 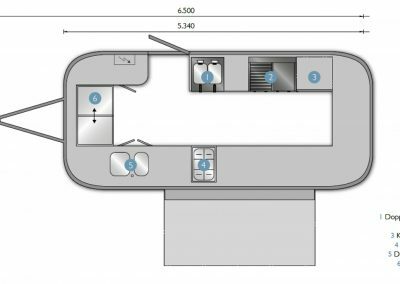 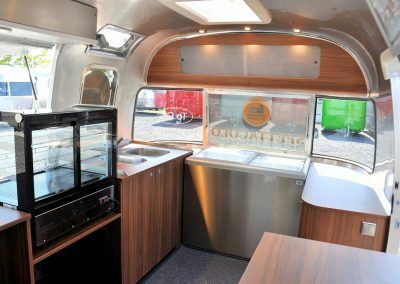 With an empty weight of 1600 KG in shown configuration this Airstream makes a big difference to converted vintage US Airstreams that are not originally made for use in Europe. 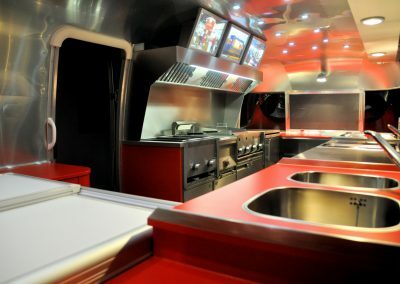 The Diner one is built to work as a classic catering trailer for fastfood. 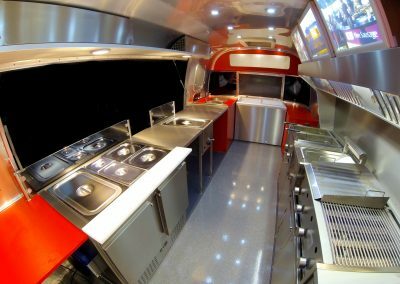 Weather you want to offer sausages, burgers and french fries or sandwiches. 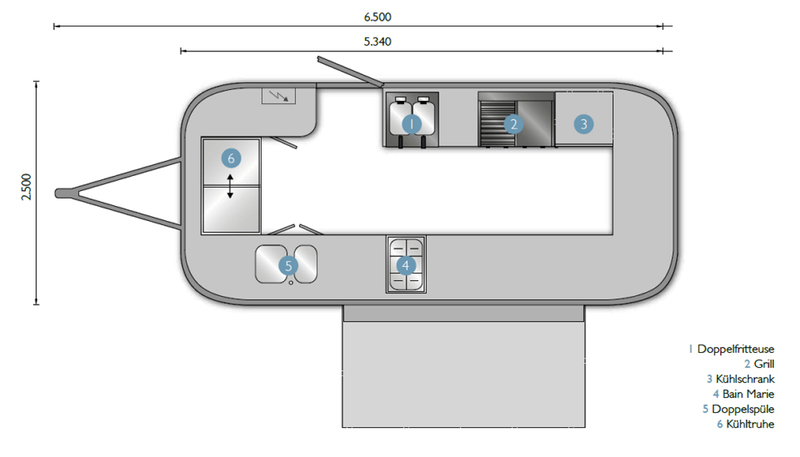 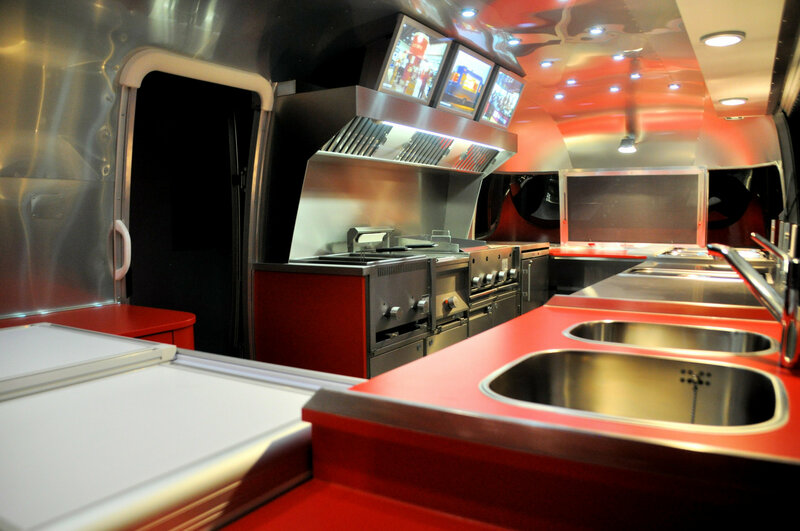 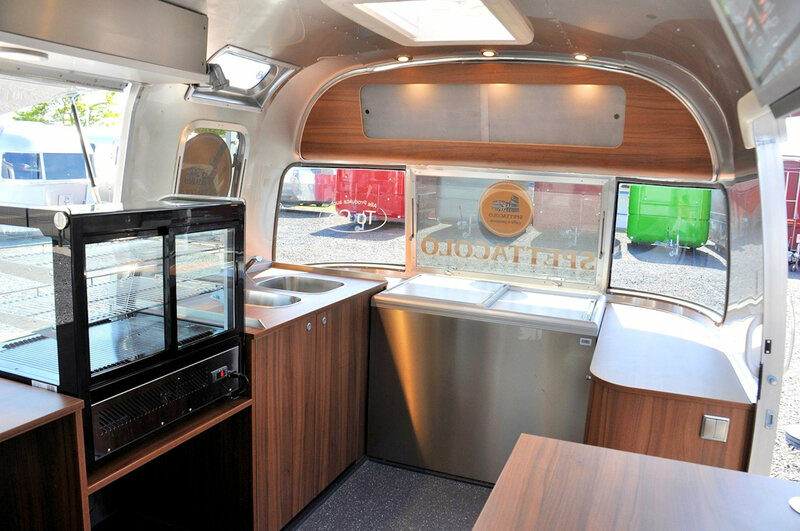 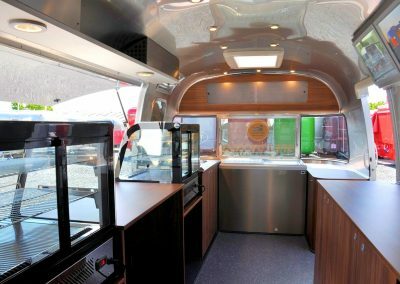 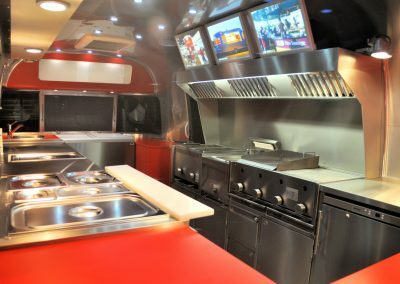 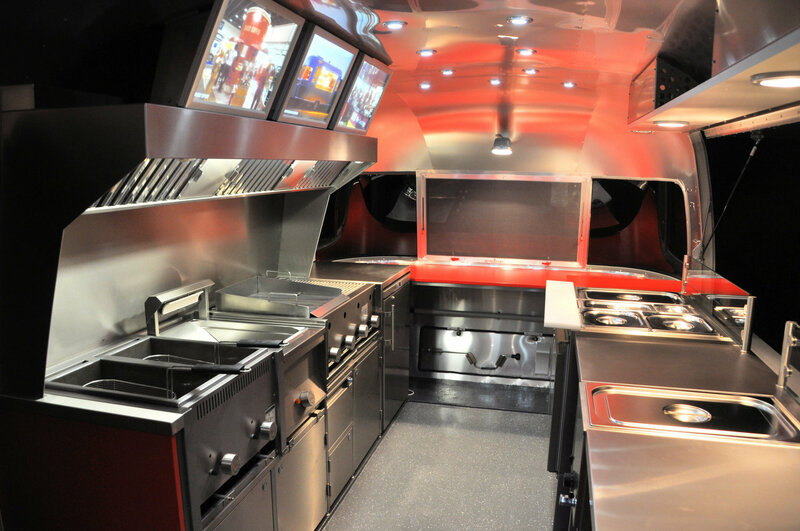 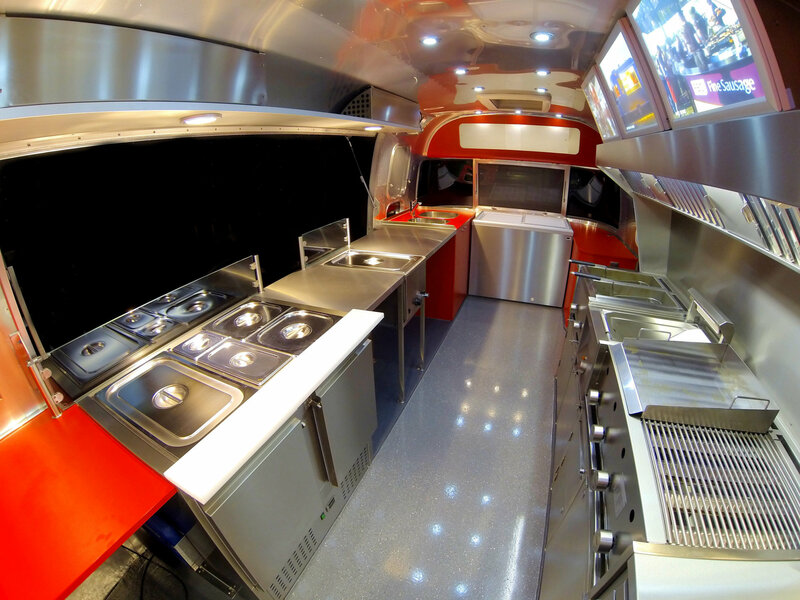 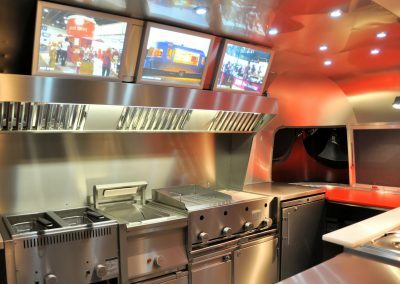 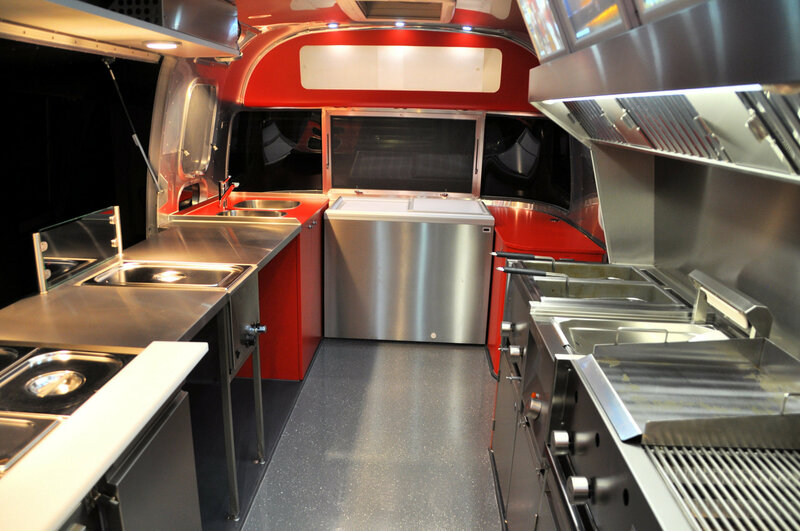 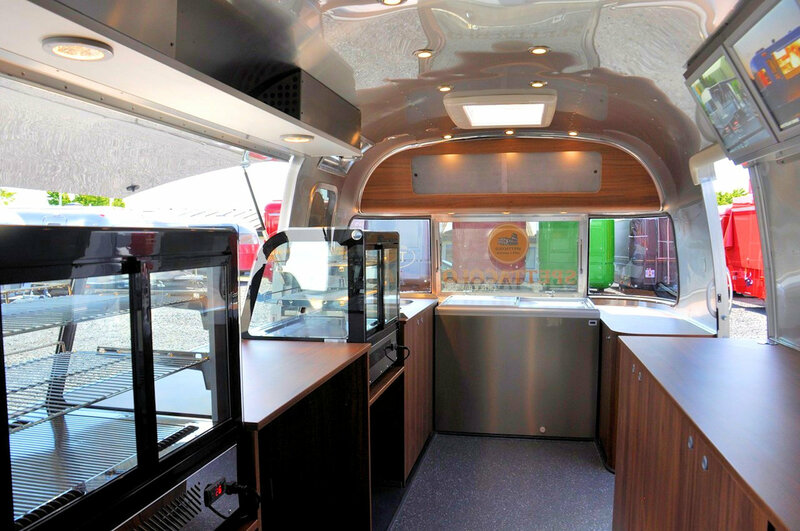 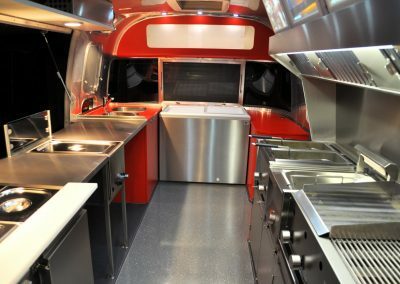 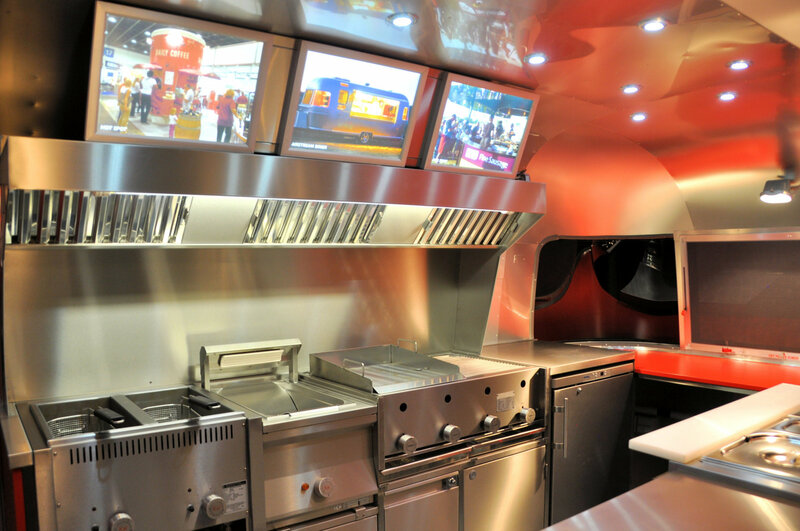 The Airstream Diner is the premium tool for you sucessfull bussines.